One of my all time favorite lip balms is Fresh sugar lip treatment! 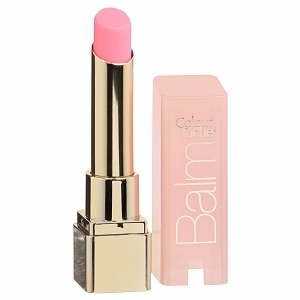 I love it because it spreads like butter on the lips, it has a hint of color and best of all there is an SPF 15. Just like it is extremely important to have SPF to protect your face and body it is extremely important to have an SPF in your lip balm. Our lips are highly capable of getting sunburned as well as wind burned and to prevent this we must use an SPF on the lips! Although the FRESH sugar lip treatments are amazing and come in approximately 8 different shades from nice nudes to bright corals they are a tiny bit pricey for 0.15 oz lip balm. They will run you approx $22.50 each one! That’s a little more than I’d like to pay for a lip balm, but I’ve done it and I do not regret it. But, when you’ve just paid your car payment and rent and other things and your pockets might not be able to splurge on that $23 lip balm I might have a pretty similar product for you! While at my favorite drugstore CVS I decided to purchase these L’oreal Colour Riche Balm SPF 15! I decided to try them because it was buy one get one 50% off and it had an SPF 15. My daughters lips tend to get pretty chapped and I figured these would be great for her! These Loreal lip balms are only $8. Just like the fresh sugar lip treatments they have approximately 6-8 colors and they are moisturizing with an SPF. They definitely aren’t as soft and creamy as the fresh sugar lip treatments but they definitely do the job! So if you are on a hunt for a lip balm with an SPF which you should be and $23 is way too pricey check these out at your local drugstore! Summers around the corner, protect yourself. Tight Wallet Tuesday: Being glam on a budget.